Former exorcist Gabriel Wolfe enjoyed a quiet life in Hollywood as a consultant on horror movies until the night he met Oliver Fitzpatrick and his strange sister. Now his life is unraveling and he is flung into a world of demons and dark magic, culminating in the kidnapping and demonic possession of Maya Carmichael, his business partner and only friend. With no other options in sight, Gabriel reluctantly seeks help from the only person he can turn to – his old teacher and mentor, Father Paolo Sebastian. Enlisting the help of Professor Frank Harper and Father Sebastian, Gabriel goes on a hunt to find and confront an Arch Demon to save Maya… and himself. The success will hinge on whether Gabriel can face his demonic nemesis, but so far, the demon has stayed one step ahead of this deadly game. Gabriel needs to summon and fortify his withered inner strength before it is too late. If he cannot, he’ll lose the soul of the only woman he ever loved. 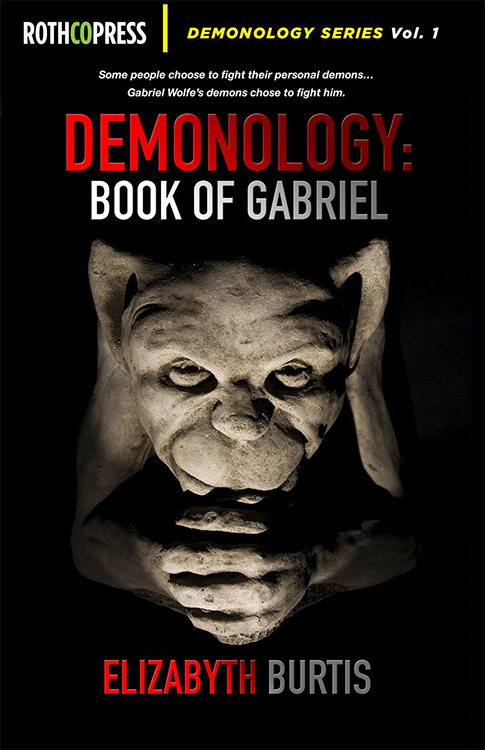 Demonology: Book of Gabriel is the first installment of a four part series chronicling the story of Gabriel Wolfe. It is available from Rothco Press. READ AN EXCERPT HERE.